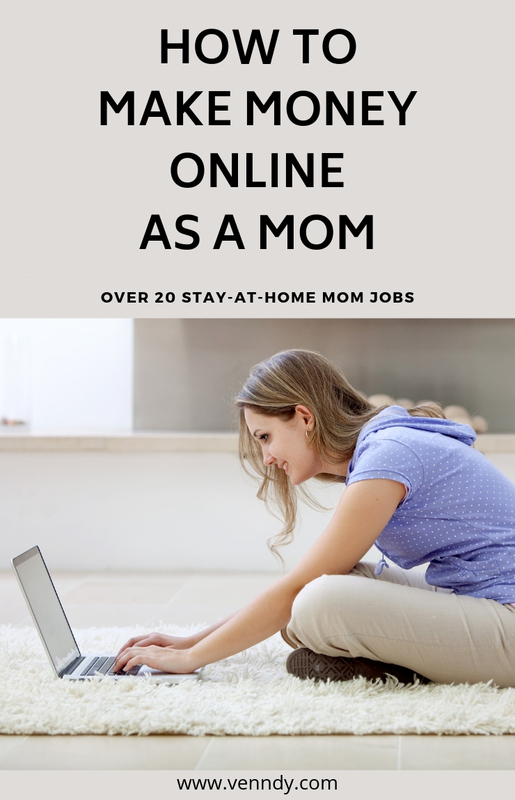 What Are Your Options for Making Money Online as a Stay-At-Home Mom? Build an Online Affiliate Shop – An Amazon Store or a VENNDY Affiliate Shop? // Why Monetize Your Social Media? Are you looking for ways to make some extra income from home so you don’t need to go back to a 9 to 5 job? Do you feel it’s still time to stay at home as your kids and family need you? Do you feel that you’ve learned so much about motherhood, parenting, and how to juggle family life and now you’d like to help others benefit from your ideas? You are not alone. I found that motherhood, more than anything else, made me reconnect with my creative side – not necessarily in an artistic way but in a way that made me think and learn more about what makes me feel good and lets me be my most authentic self. That means being creative in the way I relate to my time, my finances, my goals, and my aspirations. VENNDY is part of that journey, and I am enjoying every minute of it! I can now even embrace the challenges, as they helped me grow as both a person and an entrepreneur. It is second nature to all Post-Millennials who grew up with digital content and social media in the palm of their hand. It can serve as a creative outlet for talented women. I love seeing how moms turn motherhood into a celebration of creativity, inspiration, and fun. You often hear about how women work so hard caring for their family and growing a business that they forget all about living and having a lifestyle. But have a look at the following examples of mom Instagram accounts. Here creative moms have managed to combine the enjoyable parts of their everyday with a lifestyle that others can relate to and, at the same time, are monetizing their content from sponsored partnerships and earned commission. I am not suggesting that everyone should focus on Instagram for monetization; there is no one solution that fits all. I am also not saying that using VENNDY will help you make thousands of dollars a month… but VENNDY will certainly help you be connected, focused on monetization, and tuned into making it while being yourself and sharing your everyday choices in a meaningful way that can help others! So stay with me or jump over to the last part of this blog to read more about how VENNDY can help. Starting a blog is one of the first suggestions offered by many for making money online. If you think that having a blog is a side hustle – think again. These days blogging is no side hustle but more like starting a business. I personally think that blogging is great, but it is not for everyone (especially if your main goal is to make money with your blog). If you are considering starting a blog, first check out this blog post. It discusses the pros and cons to help you make an educated decision. 1. Bringing traffic to your site. 2. Creating content. Even if you create great content that people want to read and keep coming back for, this is still not a clear path to making a living from your blog. In other words, great content does not necessarily translate into monetization. 3. Making money from your content, in other words, converting your audience into buyers of products and other items you offer and promote on your website. You might want to start a side income, but with small kids at home, you may not have the time or energy needed to keep it up. This is why a platform that can help you make the transition from not being a digital content creator to building your own online corner on the web is perfect for helping you test the waters. Take Instagram, for example. If you’ve grown a following there, it will be easier to turn your followers into your blog readers. So if you want to start a mom blog and channel your ideas and passion into a business, then I say go for it! People make money online using their skills and expertise. Here we’ve gathered 8 Easy Ways to Monetize Your Blog, so make sure to check it out. But remember, you need a way to help you stand out from the crowd. One way is to use your experience and highlight what makes you unique, for example, show how your personal taste, preferences and perspective make you different from other bloggers and allow you to connect to readers in a way that no one else can. 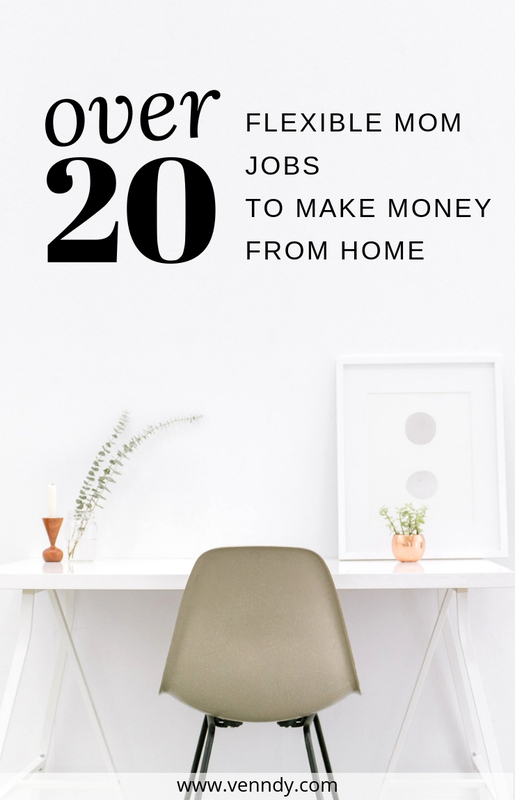 Two of my favorite recent posts on this subject suggesting a variety of online and offline jobs are by Elna from Twins Mommy blog with 12 Money-Making Stay At Home Mom Jobs for 2019 and Saranya from One Fine Wallet blog with the updated 2019 version of 21 Business Ideas for Women at Home. Offering services as an internal designer, event planner, or photographer. Yet, both Elna and Saranya see blogging as the number one way to make money from home. But perhaps you’re only looking for a side income – something you can do when you want and for as long as you want. Let’s look at some side hustle ideas. Using money-related apps like earning cash back, finding coupons on specific products, etc. There are a few ways to start an online business. Check out 5 Ways To Start an Online Business as a Beginner for more. Let’s focus on ideas that can be good for stay-at-home moms. There are more and more opportunities for moms who would like to start their own websites and sell products or services based on their strengths and expertise. Sometimes you start with blogging, and it helps you realize or recognize something that you are really great at making. If you are good at creating products, you can sell them online through Etsy or other shop platforms such as Shopify or WooCommerce. You can sell anything you make yourself like printables, inspirational quotes, paintings, or handmade products like jars, jewelry, gifts, and fashion items. If you are good at writing or teaching others, you can create a digital product (ebooks, ecourses) and sell it on your blog or a website. With your own website you can write content that will help drive potential buyers and create your own online store. If you are good at searching for products and writing reviews, you can either sell products on eBay or start a niche affiliate website such as Lucie’s List and help other moms shop better. 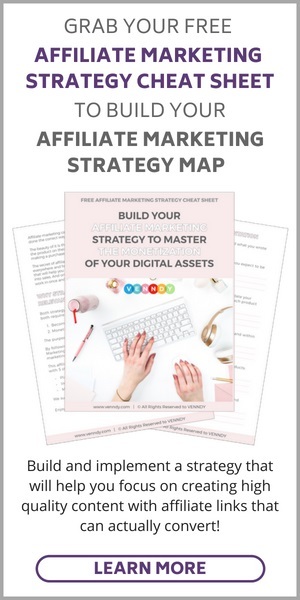 On this blog we are focused and talk a lot about affiliate marketing and how you can monetize your blog, Instagram, or Pinterest. But no successful affiliate has made money from simply uploading carousels of products without an opinion, a personal point of view, a recommendation, or a connection with their followers. By linking your blog post content to products or services offered online, you get commission per sale if bought by one of your readers. If you are new to affiliate marketing or want to better understand how this works, you may want to check our Affiliate Marketing Guides as well as the Basics, the Ultimate Guide for Beginners, When Is It a Good Time To Start, How to Choose Programs, How To Choose Products, and What Makes It Work. It is easier to be approved by certain affiliate programs that require you to have full control over your work. You are not dependent on a platform that may be terminated sometime in the future; instead, it is only you who will decide if and when you want to close it down. You can use some useful tools and strategies for growing your following such as SEO, grow your own email list, collaborate with others, and more. You can use your website to offer future services or products that you may create yourself. In order to make money from affiliate marketing, you first need to find a niche, build your brand, promote through social platforms, or build a community. And this is why I am so excited about the opportunities that VENNDY presents, as it offers moms a chance to connect around similar interests, personal taste, and preferences. 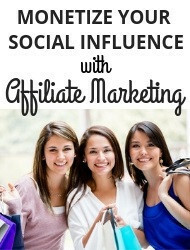 If you have a blog and are still looking for ways to monetize it or if you have a nice following on Instagram or Pinterest, there are now more affiliate networks and programs that will approve your application to become an affiliate, even as a beginner with a social media account. Here you can find the Best Affiliate Networks and Programs for Beginners, and here you can check out if you are ready to join. First to help moms to connect and offer one another valuable practical advice based on their own experience. Second to create a platform for monetization that is based on the valuable information that moms share. But there was another deeper and more fundamental reason for founding VENNDY, that is, to give us moms an outlet for sharing our creativity in a way that is not only gives value to others but also helps us create a sense of happiness from living with a sense of freedom over our time and our finances. VENNDY is a perfect side hustle for moms. It is a kind of a micro-blogging platform that lets you upload all your recommendations into your own boutique regardless of whether you have a blog. Getting started with VENNDY requires nothing except being an affiliate of one or more programs, signing up to VENNDY, downloading the VENNDY LinkCollector, and starting to share your ideas. VENNDYdemocratizes the process of using affiliate marketing. Its web-based affiliate marketing tools make it possible for everyone to monetize their content and easily share and distribute. Simplicity– VENNDY is simple and easy to use. Focus– VENNDY helps you focus your monetization efforts on creating great content around your promoted items. And we really mean focus! Focus on having fun, enjoying life, and sharing it in a useful way by inspiring others to take action. Tools– Using VENNDY’S tools, you can share your content with affiliate links over all platforms: Instagram, Pinterest, Facebook or YouTube. 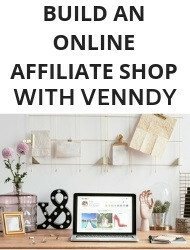 To read more about how the VENNDY Affiliate Shop works and how to get started, check out THIS post. ONE FINAL NOTE ABOUT THE POWER OF COLLABORATION! Did you know that women control most of consumers’ spending and purchasing decisions? That might come as a surprise, but just google "women purchasing power” and you’ll hit the number of 80–84%. 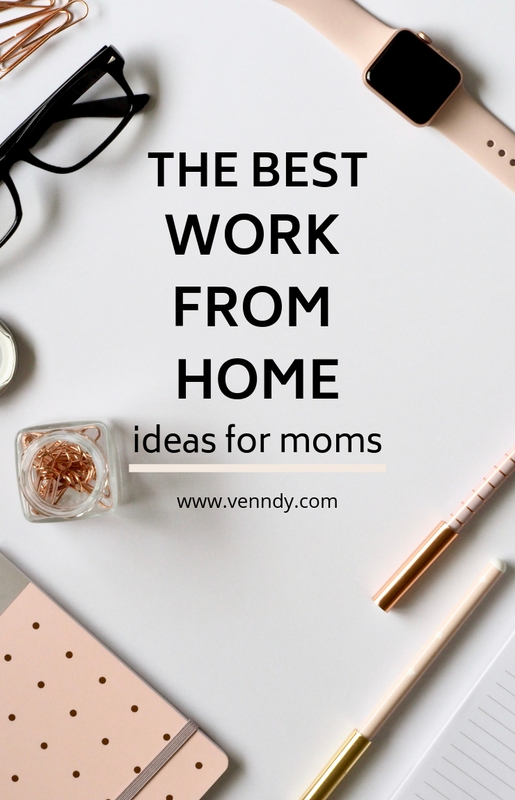 VENNDY can help you connect with other moms and use affiliate marketing to share your recommendations on your blog and social media. VENNDY can help you share products promoted by other users in order to bring your followers reliable recommendations from people who have actually used the item. By collaborating and connecting around things that have made our life’s experiences better, happier, and more beautiful, we can help one another to make everyday choices easier and more successful. Together we can create a place that provides the comfort of being around like-minded people and a sense of being less alone and more connected, while allowing us to easily share our ideas, information, and knowledge. It is not about shopping but about sharing our unique points of view and helping each other not only to find the best things for raising a family with ease and happiness but also to build a side hustle to help out in those early years while staying at home. We can bring together our tips and finds about wellness, fashion, beauty, and travel in one place, where others can be inspired and we can earn a commission when someone stumbles upon a product, place, or service that we recommended and they love. If you relate to any of the above or feel that you could be part of making a change or if you know someone else who might be interested, make sure to comment, pin, share on Facebook, or tag us on Instagram. We need your support to keep this ball rolling. And most of all, sign up to VENNDY, send us an email asking for the LinkCollector Chrome extension, and start uploading all that knowledge you’ve gathered over the years, either with or without affiliate links (you can always go back and add affiliate links when you find the time or get approved by your favorite brands and merchants). Let’s inspire and be inspired by our favorite finds from around the web.